Wood box per 10+1pcs and outer with carton box. Alloy, Differ Demestic And Imported Ally. Finger Jointer, Rack Shaping Machine, Automatic Comb Tenoning Machine. Type: Conventional Specialty Finger Joint Cutter. 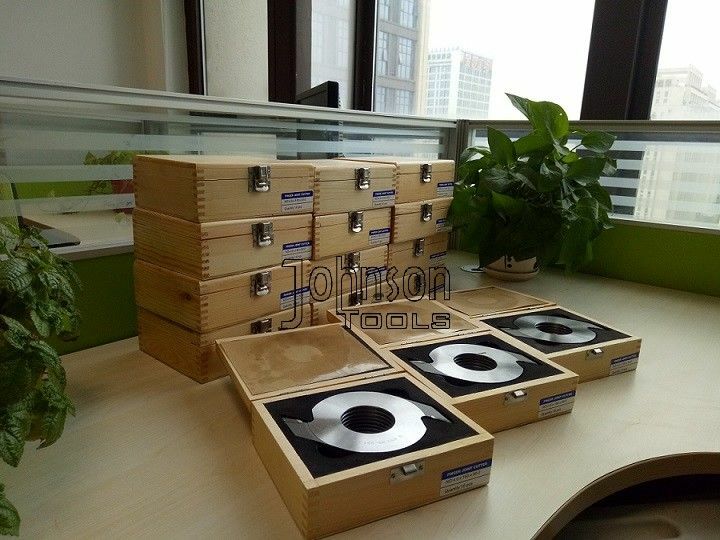 Each one box can include 10pcs middle blades and 1pcs bottom type. Domestic alloy and imported Alloy. Imported alloy will be 30-40% better on precision, life, sharpness than demestic ally. Blade Thickness: 4mm or 3.5/3.7/4.2mm. Center hole: 50mm is mostly. Other size 30/35/40/70mm can also done. 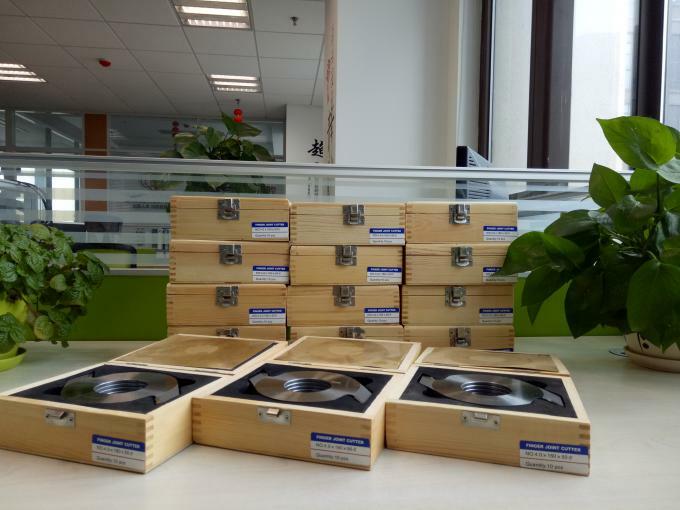 Blade Thickness: 9.5mm or 10mm. Each 10pcs middle type Finger joint cutting put into one wood box. Or if you need bottm type finger joint cutting together, will be 10+1 put into one wood box. 5 wood boxes into one carton. Gross weight: 15kg/carton. Center hole:: 50mm or 30/35/40/70mm.